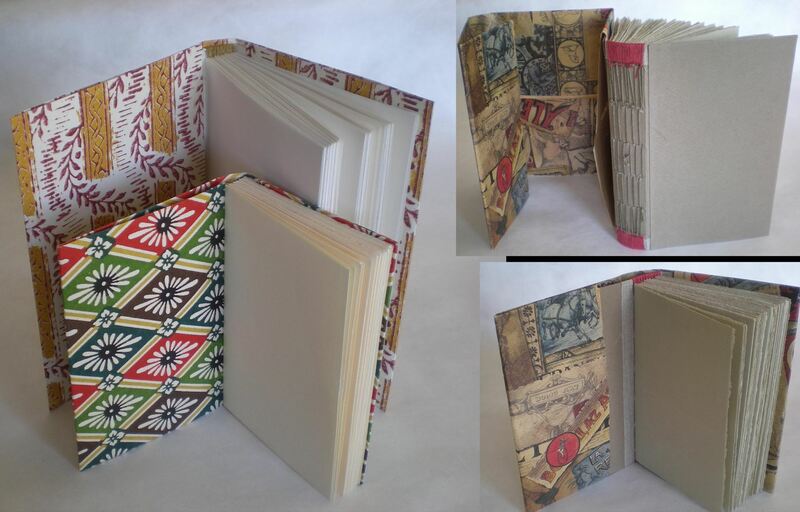 During this one-day course, participants will make 2 elegant non-adhesive bindings finished w/folded paper wrappers. The long stitch variation is sewn to a card and cloth support with a decorative wrap stitch at head and tail; the 4-needle incorporates the wrapper into the sewing of the first section. Both structures allow for a fun variety of decorative choices and make a sturdy lay-flat book.